Meet Jake ‘Macka’ Mackintosh. 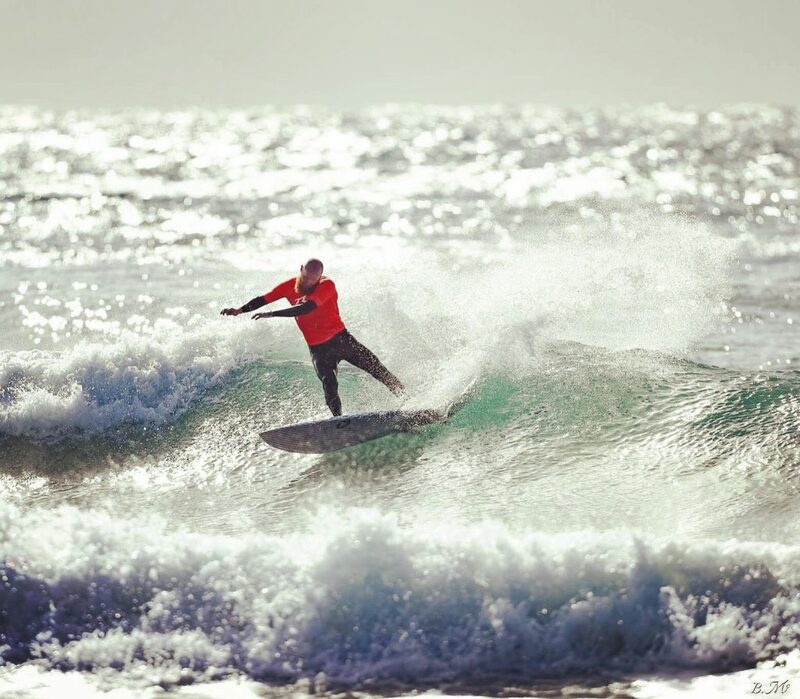 Macka is one of the most naturally talented surfers on the Northern Beaches. After winning the local boardriders competition in 2017 Macka has proclaimed that a consistent yoga practice was influential in keeping a strong mind and body which allows him to love and enjoy surfing every day. One of our longest standing members and regular promoter wearing his DF merch, here we talk about the benefits of surfing and yoga, and his experience combining the two. Tell us a little bit about yourself, and your experience surfing and practicing yoga. I experienced a serious groin injury whilst snowboarding where I ripped both adductor muscles leaving me in constant pain and lacking mobility throughout my lower back. This led to months of rehab. Seeing little progress throughout the rehabilitation process, I was still having many paralysing surfs where my lower back would completely lock up, leaving me struggling to paddle back to shore. With little confidence that I would ever make a full recovery, Eliza asked me to come and try a yoga class at Divine Flow Yoga. To my surprise after a few short months of practice, my mobility and flexibility started to improve. For the first time in quite a while I was surfing pain and worry free. Since practicing yoga I haven’t had any issues regarding back pain and I feel that it has further strengthened my core and my overall wellbeing. Why is practicing yoga beneficial for surfers? I think yoga is beneficial for surfers in many ways. Not only through providing a strong base and core but also for a more clear and focussed state of mind to help perform at your peak. Why would you recommend surfing to yogis? I think yoga and surfing go hand in hand. 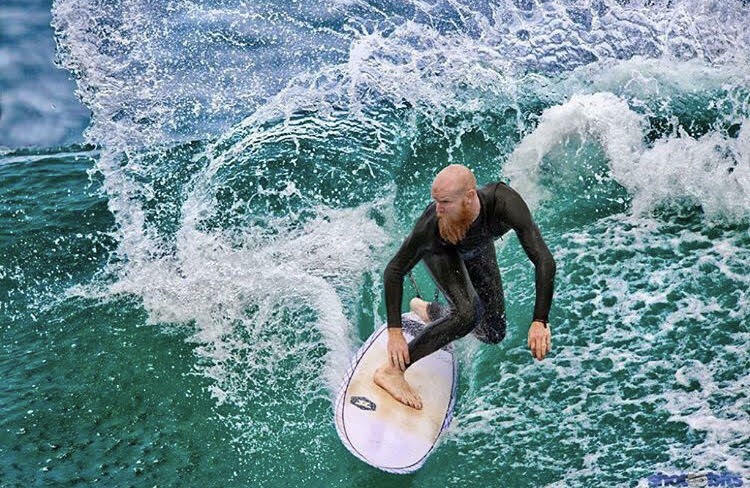 To me when I come to class and ground down on the mat, I use that time as “my time” where everything else becomes irrelevant, where I feel the same applies to surfing. It just becomes you, the waves and good times. Are there any specific yoga poses that you’d recommend to strengthen the body for surfing? I would say cat-cows have got to be a good start to loosen up the lower back and core before hitting the water. A low lunge with an open twist is also a favourite to free the lower back, and threading the needle to stretch the shoulders for that extra paddle power is a big one. Also, focusing on poses that improve balance whilst using correct breathing techniques are going to help in a massive way to increase your stamina and performance in the water. Any tips for surfers starting yoga? Definitely go in with an open mind and soak it all up, for a discipline to improve your surfing and strengthen your overall wellbeing can only lead to a positive out come. I’d say just give it a go, because who knows, you may just enjoy it as much as I do. 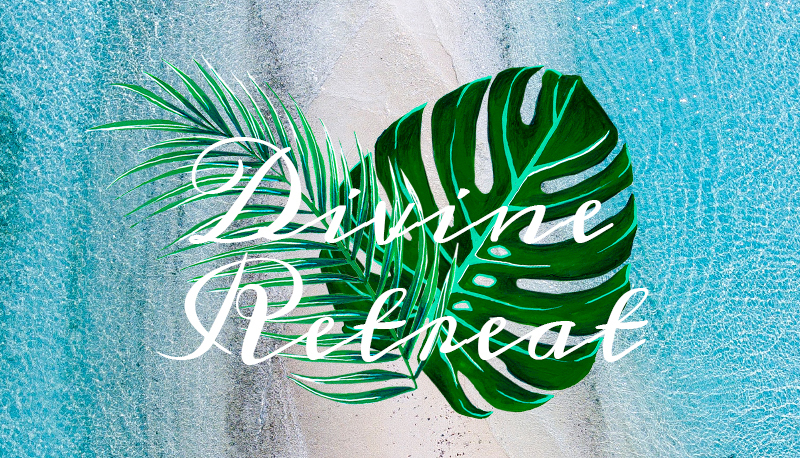 We are Divine Flow Yoga are hosting a Yoga & Surf Retreat in Kandooma, starting June 18th for 6 nights. We will combine elements of fire and water to get your body moving between yang and yin for an experience and expression like no other. We have tailored this retreat to accommodate all levels of yoga and fitness. Booking close on the 18th of April so this is your last chance to reserve a spot.